Welcome to the wireless world of XBee. Maybe you've heard of it, maybe you haven't, either way you are in for a fun ride. XBees are tiny blue chips that can communicate wirelessly with each other. They can do simple things like replacing a couple of wires in serial communication, which is nice when you want to make a remote for your paintball vehicle. But which of the dozen or so modules do you want? What's the difference between Series 1 and Series 2? Why are there so many antenna? Why are some of them Pro, and does this make the regular models feel inadequate? And most importantly why does Sparkfun have so many boards for XBee and which ones do I need? There are lots of different types of modules which we are going to go over, but one of the nice things about these is that all the modules regardless of the series or type have similar pinouts. Power, ground, and your TX/RX lines are in the same place making the chips pretty interchangeable for most of the simpler applications. Some of the more advanced features are not always compatible, but for starters its not something to worry about. Now that you are ready to start learning about XBee and what it all means here is a breakdown of the XBee world. 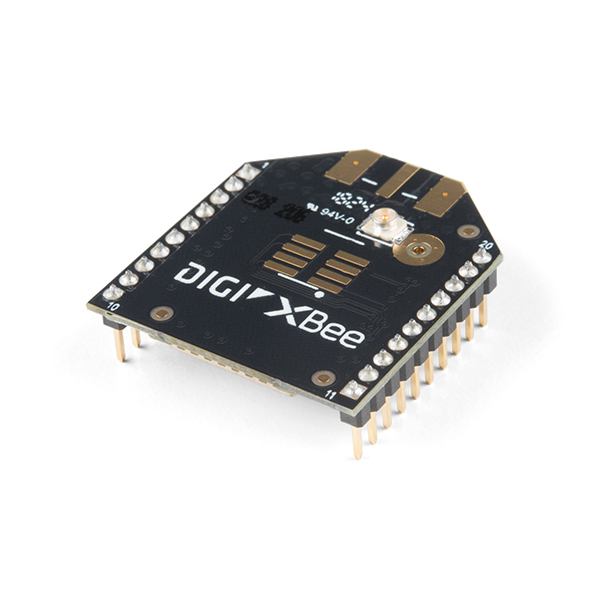 What's an XBee, what's a Zigbee, what's a Bumblebee? 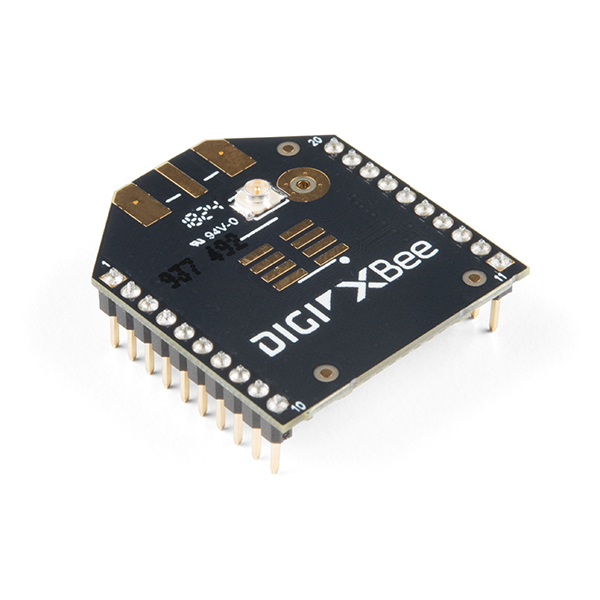 XBee – According to Digi “XBee modules are embedded solutions providing wireless end-point connectivity to devices. These modules use the IEEE 802.15.4 networking protocol for fast point-to-multipoint or peer-to-peer networking. 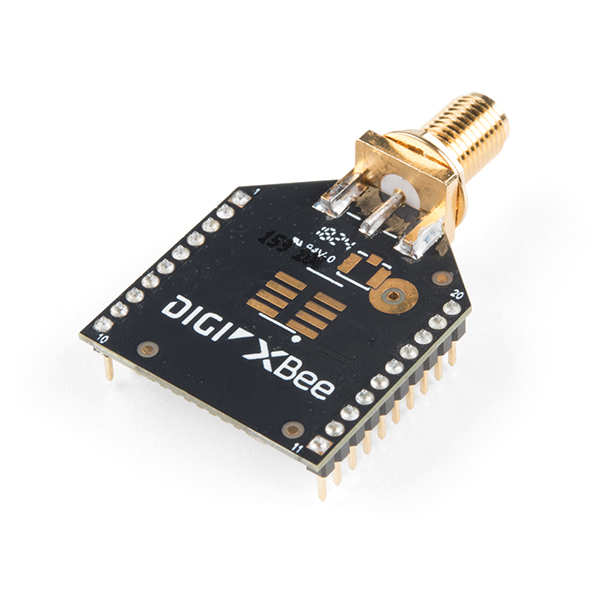 They are designed for high-throughput applications requiring low latency and predictable communication timing.“ So basically XBee is Digi's own Zigbee based protocol. In layman's term they are wicked cool, and fairly easy to use wireless modules. Zigbee - An alliance and a standard of cost and energy efficient mesh networks. XBee uses the Zigbee standard and adds to it and wraps it up in their own neat little package. http://www.zigbee.org/. Bumblebee - A tuna company, an insect of the family Apidae and the genus Bombus, or a small yellow Autobot. Which ever definition you choose they are fairly awesome and completely irrelevant to our talk of wireless XBee modules. 900MHz - Technically not a series but it is a family just like the others. The 900s can run 2 different types of firmware, the DigiMesh firmware and the Point to Multipoint firmware. Digi actually sells both modules, the hardware is the same just with different firmware. Sparkfun only sells the point to multipoint version, but hey, you can change the firmware yourself. These modules should be more or less plug and play but of course can benefit from all the cool features you can configure. Regular vs Pro - There are a few difference between the regular XBees and the XBee Pros. The Pros are a bit longer, use more power and cost more money. That's pretty much it. The greater power means longer range (1 mile instead of 300ft) so if you need the range or like to spend more money, then use the Pros, otherwise stick with the regular models. You can mix and match these on the same network. Here's a table of stuff we sell that you can plug an XBee into! Looking for more boards with the XBee socket? Check out the catalog under XBee boards. Range: The range of an XBee device is affected by several factors including the transmit power of the device, the type of antenna connected and the surrounding obstacles or conditions. The range listed here reflects the maximum range of the device in ideal conditions and in open air, line-of-sight. Expect this distance to be smaller if you're trying to communicate indoors or through walls, trees or other barriers. Power Consumption: This represents the amount of power that the device will typically consume during transmission, your system should be capable of sourcing at least this much current and then some to avoid erratic behavior or brown-out conditions. Frequency: The operating frequency of the device will affect its range and penetrative force as well as its tendency for interference. Lower frequencies require larger antennas to be effective but they also have greater penetrating power when it comes to transmitting through walls and barriers. Protocol: This is the language that the device "speaks" when transmitting and receiving data. 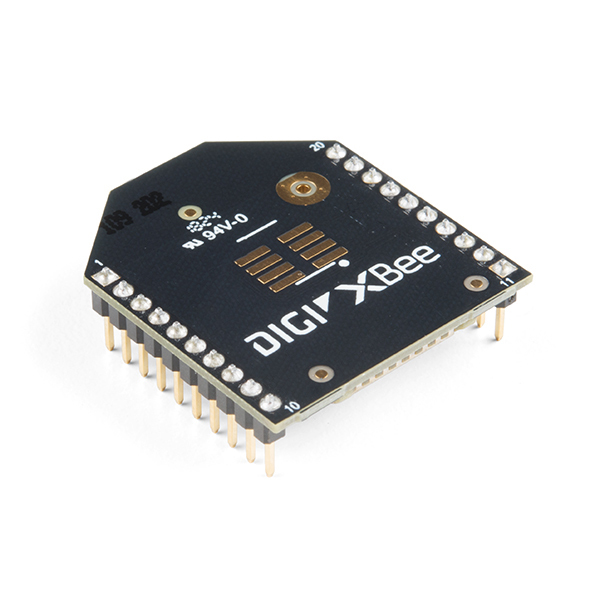 XBee modules are designed to communicate using a specific protocol, although certain devices can be made to use a different protocol by changing the firmware. Series 1 modules are designed to use 802.15.4 which is a point-to-point communication protocol. This is great for networks which contain only a transmitter and a receiver or multiple receivers. The Series 2 modules are set up for the ZigBee Mesh protocol which is a mesh network standard, this is great if you have a lot of 'nodes' that need to all talk to each other. Series 1 modules aren't capable of mesh networking and can't communicate with other devices running the ZigBee Mesh firmware, however, Series 2 modules are backwards compatible and can be firmware configured for point-to-point networking. 900MHz modules use a different protocol altogether for multi-point networks. Tx Power: The Tx (Transmit) Power is the amount of power that the device actually broadcasts. While this is closely tied to range, it isn't the only factor. This number is important to keep in mind when selecting an antenna for a device to ensure that you comply with your local radio communication laws. The power listed on this chart is the maximum output power and it can be adjusted in firmware in case you need to dial it back. Data Rate: The speed at which the device can communicate over the air will effect not only how much data you can push over the network at once, but also how reliably the device will communicate at long distance. Slower transmission rates can be beneficial if your network spans a large distance, a fact exploited by the XSC line of devices. The speeds listed here are maximums and can be adjusted in firmware for several of these devices. Antenna: The type of antenna, if any, that the module comes equipped with. There are several things to keep in mind when it comes to selecting the proper antenna or antenna connector for your project. A chip antenna is small and easy to enclose, but it doesn't give the best gain. 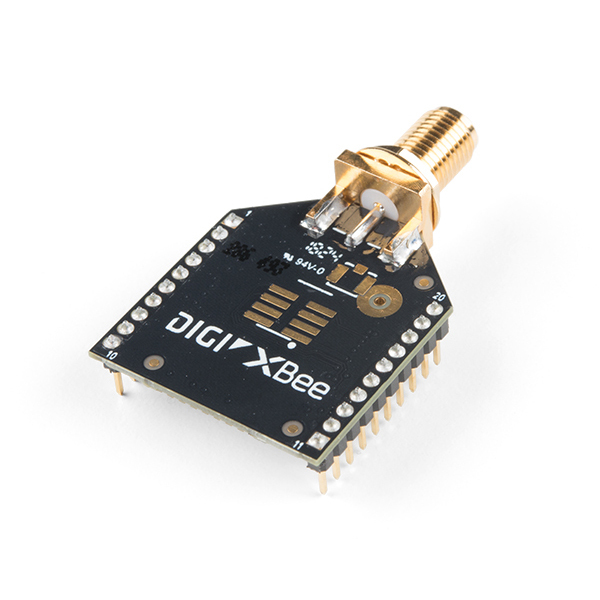 A wire antenna is simple and effective but it's also not as small as the chip antenna and can be more difficult to incorporate into your design; For that reason, most new XBee modules feature a trace antenna instead. Trace or PCB antennas are made from conductive traces on the module itself and have performance comparable to wire antennas while taking up less space. If you're building your wireless device into an enclosure it can be beneficial to attach an external antenna, this can be achieved either by U.FL or RPSMA connection. U.FL is the type of connector often found on the wireless adapters in laptop computers and other small devices, routers and larger devices often have RPSMA connectors. Remember that whenever you add an external antenna to a device you change the gain of the transmitter, so be sure you stay in compliance with your local radio communication regulations. If you have never used XBees before, we recommend looking at the Exploring XBees and XCTU before getting started. Need some inspiration for your next project? Check out some of these related tutorials with the XBee tag. X-CTU software - This is what you need to configure the XBee modules. XBee Series 1 product page - The product page for the Series 1 module. XBee ZB product page - The product page for the current Series2ish module. Government Regulations - Wireless communication has different restrictions in different countries. 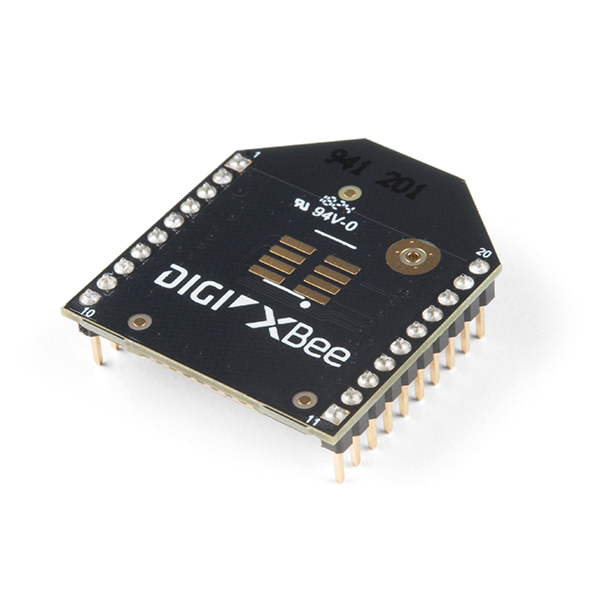 The ones we sell are all fine for use in the US, but for more information check out Digi's information on what XBees are acceptable where. Building Wireless Sensor Networks - great book on Series 2ish modules. This is an amazing book on XBees, it covers everything from configuring the modules to using the I/Os and sleep functions. It also has projects throughout the book to help you put to use what you've learned.